Bruce Lisman | The Vermont Political Observer. So the inevitable happened in the Republican gubernatorial primary. Phil Scott won. The sad thing is, Bruce Lisman actually did pretty darn good. He got all the way from four percent in a February poll to 39 percent in the primary. That’s respectable, really. But it leaves you wondering, again, what the hell? 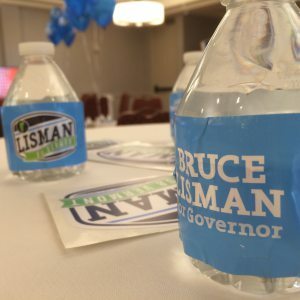 Why did Lisman challenge the widely-beloved Republican Great White Hope? Why did he pump two million Bruce Bucks into a doomed effort? This entry was posted in 2016 election, Bruce Lisman, Phil Scott, Sue Minter and tagged Carolyn Branagan, Donald Trump, Dubois Construction, Hillary Clinton, Norm McAllister, Randy Brock, The VPR Poll on August 10, 2016 by John S. Walters.